Home professional coffee machine with espresso cup. Coffee is arguably the most popular drink in the world and one which some people simply can’t do without. One of the sought-after types of coffee is espresso. Espresso originated from Italy as did cappuccino, latte, macchiato and freddo. There might be a lot of modern cafes that sprouted up just about everywhere, but nothing beats making your own espresso at home. If you are looking for the best quality espresso machine under $200, you have come to the right site. We’ll look today at some background on espresso before showing you what machines are at your disposal if you want great coffee on a budget. If you’re looking for a first-rate coffee machine at an affordable price point, you’re in luck! Check out these 5 contenders for the best espresso machine under $200. A sleek black unit, the Nespresso Inissia is ideal for espresso and lungo without needing to leave the comfort of home. You will be limited to using Nespresso capsules so make sure they are readily available. This pump espresso machine would not be out of place in a small coffee shop or restaurant. Use either pods or ground coffee for complete flexibility. For superb extraction and a rich crema, you can’t go far wrong with this awesome coffee maker from Hamilton Beach. Enjoy espresso or cappuccino every day at a fraction the cost of on ongoing bill at the coffee shop. When you say coffee, the first thing that comes to mind is an espresso. But espresso is neither a coffee bean nor the coffee itself. A coffee espresso is the mere preparation of a coffee bean first introduced in the 19th century. It is also often mistaken as espresso roast. Espresso is coffee made by forcing pressurized, almost-boiling water through very finely ground coffee beans. Brewing coffee takes time and it’s much more convenient for coffee lovers to relax and wait while someone else takes care of business. The very first espresso machine was invented by Angelo Moriondo, an Italian inventor from Turin who was also the first to be given the privilege to patent his machine in 1884. But his espresso machine was a bulk brewer and not for an individual brewing coffee at home. The next inventor to follow suit was Luigi Bezzerra from Milan, Italy. He added a few enhancements to the Moriondo machine in the early part of the 20th century. Bezzerra successfully invented an espresso machine that could brew coffee for a single order in seconds flat. Bezzerra’s espresso was heated on an open flame so the brewing could not be controlled and failed to produce a quality coffee consistency. Along came the genius of Desiderio Pavoni, also a Milanese. He bought the espresso machine patent from Bezzerra. Pavoni made a lot of improvements on the Bezzerra machine by inventing a pressure release valve that controlled the brewing process. It created a perfect coffee espresso blend and prevented any spilling and splashing of the brew. Bezzerra and Pavoni became partners and finally came up with the espresso machine they named Ideale. The Ideale was the forerunner of today’s style of espresso machines. This espresso machine is still on display at Reggie’s. 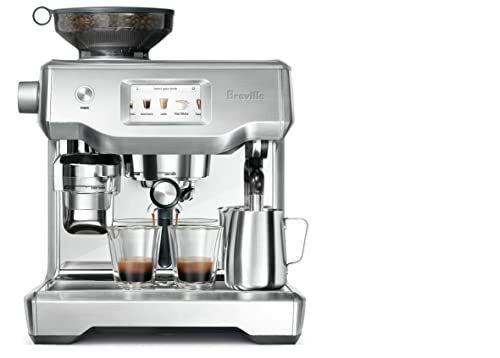 We’ll take a glance now at some of the different types of espresso machine available. These were the very first espresso machines invented. They were around from the 1880s to the 1910s during the steam machine era and up to as late as the 1940s. They are operated by steam to move water through the coffee grounds. Steam-driven espresso machines are relatively cheap and are still being used today by some small café restaurants. Sadly, these espresso machines don’t have much control in brewing and can’t produce espresso consistency too well so this type of machine is not really the one you’ll be looking for. Important Note: Steam–driven machines are not recommended to be used at home for coffee brewing. This type of espresso machine was invented in 1945 and is still used today. It comes with a lever that is pulled to make a perfect, perfect creamy shot. According to research, it was through this espresso machine that the term “pull a shot” originated. These are also known as motor-driven espresso machines. The invention of this coffee maker in 1961 paved the way to set aside the use of both piston and steam driven machines. This espresso machine harnesses electricity for power and renders it quick and easy to make a great espresso brew. The pump-driven espresso machines deliver what people now call the “true espresso”. This machine is automatic so you won’t have any problem adjusting the espresso brew, the water, broiler temperatures, pump pressures, how many cups to fill or the amount of brew you need. You just have to choose what you prefer by pushing the button. It also has a built in coffee grinder. As the name implies, this espresso machine is semi-automatic meaning some features are automatic and some are not. However tedious it might sound, this machine is the most in demand among espresso machines. This type offers you full control over your coffee brewing. If you are not too pressed for time and want to experience the joy of espresso making, this style of machine could be just what you’re looking for. This machine needs to be manually adjusted to your preference and you have to turn it off when not being used. Semi-automatic pump-driven machines, though, come without a coffee grinder. You will need to buy pre-ground coffee for optimum results. These are also known as fully automatic espresso machines. This type is considered the best among the rest of espresso machines. Super-automatics are also the most expensive. This variety of machine is perfect for people on the go who want their coffee in a hurry without any stress. It requires very little input to brew your espresso. Super automatics also have their own grinding machines just like the automatics. These machines have built-in features that can work independently. You just have to switch on the options you want and voila! Coffee espresso, in its finest, tastiest glory. Super-automatics come with all the parts required for a perfect, worry-free brew. This variant of espresso machine is the latest one introduced to the café world in 2007. It works by compressing air to put pressure on forcing the water through ground coffee beans. This machine is highly portable and can be used anywhere. It needs manual manipulation to compress the air. You will also need to fill the machine with boiling water then add the coffee beans. Push the desired button and your espresso will be brewed. You will need to repeat the process if you want a refill. This type can be also be used for camping and picnics. These machines are steam operated and very cheap. They only have one boiler and coffee cannot be brewed along with milk. You will need to wait for the coffee to be done, turn the brewing off and start the steam to make the milk. The boiler heat temperature needs to be adjusted whenever you change from grinding coffee to steaming the milk. Like the single boiler machine, the heat exchanger (HX) also has only one boiler. This design also uses steam to operate it. It is more expensive than the single boiler type. With this style, you can brew coffee along with milk. It has its own water reservoir. This machine is best for making a latte, frappe and cappuccino. As opposed to the first two designs, the dual boiler has two boilers, one for brewing and one for steaming. You can brew espresso and steam milk at the same time. The heat temperature of the water is also controlled. 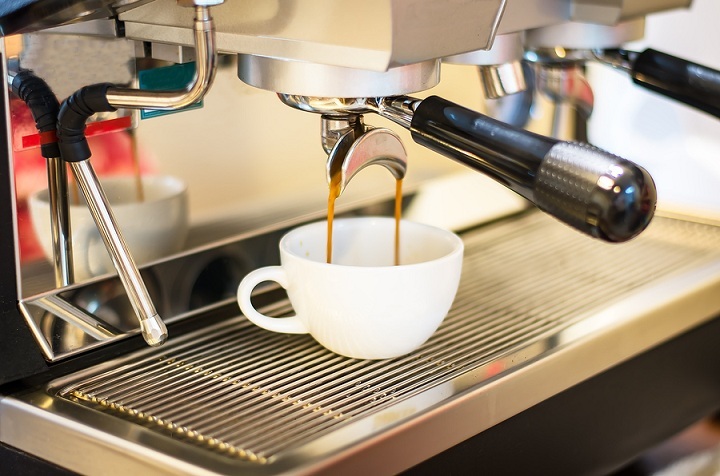 If you bear some of the above pointers in mind, you can focus on getting the right type of espresso machine for your requirements and enjoy freshly roasted coffee on a daily basis without needing to hit the coffee shop. We hope you have found this look at the best espresso makers under $200 to be useful and informative. Feel free to get in touch if you have any queries or feedback. We are always more than happy to help and we’ll respond to your queries as promptly as possible. Now go and get yourself some espresso brewing! Good review for anyone who looking for great espresso for the kitchen. I just feel like the Mr coffee models are the best option for a latte lover under budget. I’m a fan of Cafe Barista but that Inissia really looks great! I don’t know what kind of espresso it makes but it’s petite enough to fit in my kitchen. Never had a lungo before, that’s what I’ll definitely order next morning when I go to the local coffee place.